Tulane students enjoy a vibrant on-campus life, participating in our many student clubs and organizations. With New Orleans as a backdrop, Tulane students have countless opportunities for on and off campus engagement. Tulane has more than 200 student-run clubs and organizations on campus, and the university puts special emphasis on outside of the classroom learning experiences that are central to our curriculum. 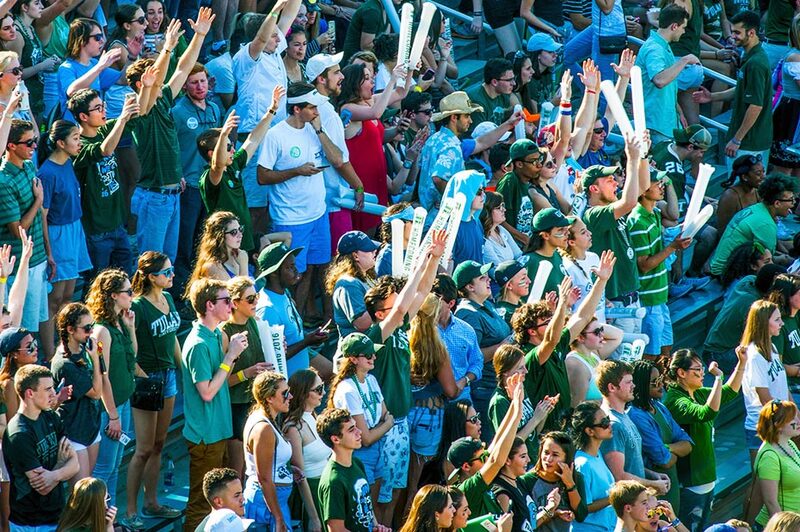 With such a diverse offering of activities to choose from - club sports, Greek life, radio stations, performing arts organizations, student government, community service clubs, and even a cheese appreciation club, just to name a few - Tulane students are never bored. Students describe the Tulane lifestyle in New Orleans as both active and comfortable; becoming a part of Tulane's campus community comes naturally, and it is never long before students start calling New Orleans home. New Orleans is internationally renown for its food scene which is deeply intertwined with the history and culture of the city. New Orleans is regularly ranked as the number one culinary destination in the United States. At Tulane, our dining hall incorporates the culinary traditions of New Orleans resulting in delicious dining offerings. Traditions bind the Tulane community together. From incoming freshmen to alumni, Tulane has distinct traditions that contribute to a lively campus life and keep Tulanians coming back for years to come. Video: "What Makes Tulane Different?" Tulane has more than 200 majestic live oaks shading its campus.